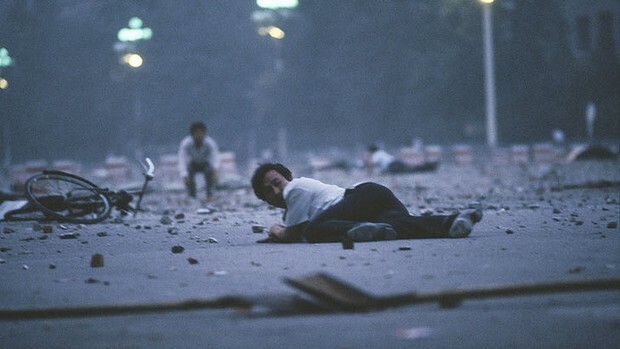 In 1989, Peter Ellingsen was The Age’s China correspondent and an eyewitness to the deadly events in Tiananmen Square, a terrible slaughter he believes we should never forget. ….on the night of June 3, 1989, scores of Type 59 tanks rolled through the centre of Beijing crushing residents as they went. People standing on street corners were torn apart by tracer bullets, run over or clubbed to death. It was a slow, deadly procession that began about 10pm and finished at dawn. The bodies fell in laneways and houses, beside shops and offices, and finally, in a huge ceremonial space six times the size of the MCG. This was Tiananmen Square and it soaked up most of the blood.